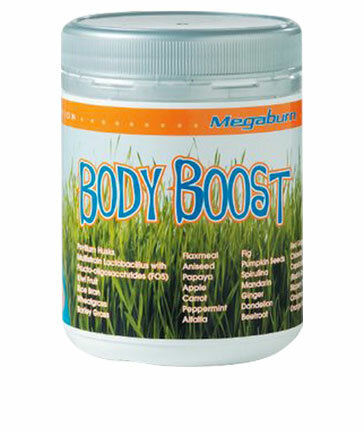 Other Products by MegaBurn. Search other Spirulina, Greens & Reds products. Body Boost is an excellent combination of ingredients, which can be used for a number of conditions. 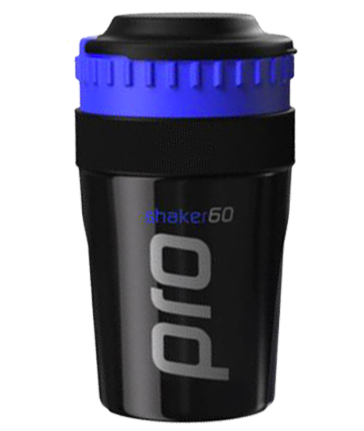 As it is a whole food it is easily absorbed and can be taken daily replacing your everyday multi-vitamin. It is a rare product, as it undergoes no processing or exposure to heat. As we know digestive function is extremely important and many people lack important soluble and in soluble fibre in their diet. This is primarily due to the modern day diet that is deficient in fresh fruit and vegetables. Body Boost is a great source of fibre and those all-important greens, which help to cleanse the blood and the gastro-intestinal tract and increase nutrient absorption. With the prevalence of cancer rising to now affect around one in two people, it’s even more important to increase your anti-oxidant intake to fight free radicals. Body Boost not only contains an array of anti-oxidants but also supplies your body with the essential nutrients omega 3 and omega 6. These essential fatty acids (EFA) can only be obtained from foods in the diet. EFA's help to decrease the inflammation and prevent further disease processes. Overall, Body Boost is essential for restoring and maintaining health so you can function at your optimum. Place 1 scoop in a glass of water or juice. Put powder in before liquid. Start slowly, try one serving per day. Once your body is used to the extra fiber, try two servings per day. Children 6 to 11 should only use 1/2 scoop. INGREDIENTS: Apple Powder, Psyllium Husks, Multistrain Lactobacillus with Fructo-oligosacchrides (FOS), Barley Grass, Pumpkin Seeds, Flaxmeal, Manuka Honey, Rice Bran, Natural Apple Flavour, Prune, Coconut Flour, Spirulina, Slippery Elm, Sugar Can Fibre, Papaya, Carrot, Beetroot, Raspberry, Ginger. Majority of Sugars are Naturally Occurring.